By using advanced lighting and automated shades, scientists from the Department of Energy’s Lawrence Berkeley National Laboratory (Berkeley Lab) found that occupants on one floor of a high-rise office building in New York City were able to reduce lighting energy usage by nearly 80 percent in some areas. The dramatic results emerged at a “living laboratory” set up to test four sets of technologies on one 40,000 square-foot floor of a building. Berkeley Lab partnered with the Building Energy Exchange (BEEx), an independent nonprofit, to demonstrate that even in relatively modern office buildings, installing the latest generation of smart, actively controlled energy efficient lighting and shading can dramatically lower energy costs and enhance the quality of the work environment. These results will be important in speeding market adoption of emerging energy-saving technologies, according to Berkeley Lab scientist Eleanor Lee, who led the project. On the living lab floor, T5 fluorescent lights were swapped out for dimmable LEDs with new sensors, which were adjusted throughout the day using advanced controls depending on daylight levels and occupancy of the space. Automated shades were raised or lowered to open up views to the outside, admit daylight, or reduce glare as needed. Researchers monitored the effects of the retrofit for six months, following a year-long baseline monitoring period before the upgrades were installed. Compared to the baseline condition, energy use for lighting in the 40-foot deep perimeter zone on the living lab floor declined 79 percent, while the associated peak lighting electric demand went down 74 percent. Much of the savings came from the switch from fluorescent lamps to LEDs and being able to dim lights across the floor, not just next to the windows. The advanced controls enabled more granular fixture-by-fixture control with wireless sensors and communications, enabling zone control to be customized at the work-group level. Many of the decisions related to configuring the controls were driven by the desire to maintain bright interiors and access to outdoor views. Despite the huge reduction in energy use, people surveyed on the living lab floor were generally content with the lighting levels and indoor temperatures. 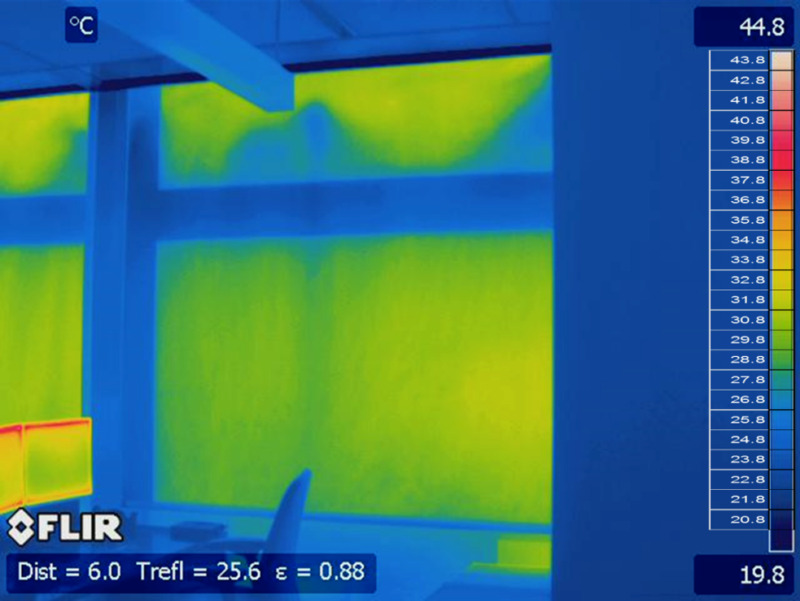 Though heating and cooling use weren’t monitored during the study, researchers estimated that a building-wide retrofit would have provided total electricity cost savings of $730,000 a year, assuming an average rate of $0.20 per kilowatt hour. Using industry estimates of typical installed system costs ranging from $3 to $10 per square foot, the retrofits would pay for themselves in three to 12 years. The researchers also emphasized the importance of installer and operator training, along with systems that have strong diagnostics and troubleshooting tools, in boosting the adoption of these technologies. BEEx acted as local managers for the Living Lab and documented lessons learned across the entire process of technology selection, procurement, and installation. These lessons have formed the backbone of multiple educational resources, from exhibits to professional training sessions and toolkits, aimed at professionals who make decisions about lighting systems in commercial spaces. The market for efficient lighting and shading controls continues to evolve. When the study began in late 2013, the researchers said, even basic features like wire color weren’t yet standardized among technologies, causing confusion during installation. The study was funded by the Department of Energy’s Office of Energy Efficiency and Renewable Energy and by the New York State Energy Research and Development Authority. Berkeley Lab will work with BEEx and building owners to further promote the business case for these advanced technologies and with DOE and manufacturers to develop next-generation products for improved energy efficiency.